We are getting closer and closer to Adele’s new album “25” and thanks to Sia we are getting a sample of what we might expect. The new mother has been taking time off and enjoying the new bliss of motherhood with her baby boy Angelo.The last album we got from the British singer was “21” back in 2011 and before that was “19” back in 2008 so we are long overdue for new Adele music. SIA collaborated with the “Rolling in the Deep” singer herself and indie singer-songwriter Tobias Jesso Jr. on the new single “Alive” that was originally intended for Adele. Details about why Adele isn’t having the track on her album hasn’t been released but the “Chandelier” singer has taken it on herself. “It’s about [Adele’s] life, so I now sing a song from [Adele’s] perspective,” Sia said in an interview with RTV Slovenija. Sia’s news album “This is Acting” is a compilation of songs she original wrote for other artist. So why the title “This is Acting”? “I’m calling it This Is Acting because they are songs I was writing for other people, so I didn’t go in thinking ‘this is something I would say,’” she said. “It’s more like play-acting. 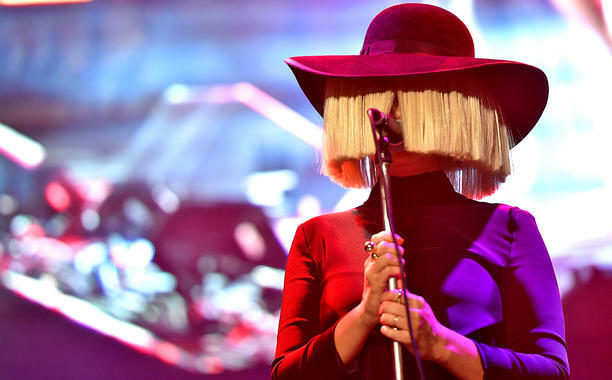 It’s fun.” Sia said in an interview with NME. The single “Alive” definitely has a familiar sound that we got in “Rolling in the Deep” and Sia definitely has the pipes to handle it. Take a listen to “Alive” here! “This is Acting” is out tomorrow so check it out on iTunes at midnight and tell us what you think using the hashtag #GlamorousPaper or the comments below!